A non-conductive fiberglass industrial extension ladder with 300lbs. 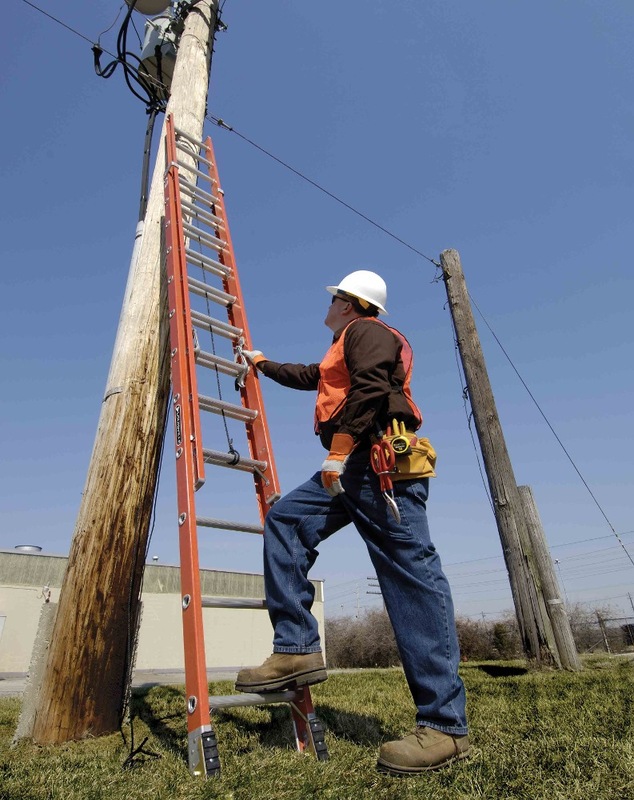 The ladders features outside slide guides, D-shape rungs fully serrated for slip resistant surface, non marring rail end caps, QuickLatch rung lock for better secure operation and swivel safety shoes to be usee as tread down or in spike position. Closed Cubic Feet 7 3/4" 9 5/8" 11 1/2" 13 1/3" 16 1/6"